Professor Avni Sali AM, often referred to as the father of Integrative Medicine in Australia, brings to NIIM his immeasurable medical expertise and passion for the advancement of Integrative Medicine. 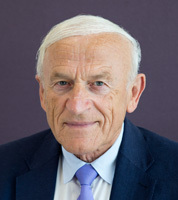 As former president of the Gawler Foundation and the Australasian Integrative Medicine Association (AIMA), and current president of the International Council of Integrative Medicine, he has extensive experience with the management of committees and organisations campaigning for education research, and the clinical use of Integrative Medicine. Grant Moffitt graduated with a Bachelor of Business in Banking and Finance from Monash University, Melbourne. He is the founder of several Australian businesses, including Grab Industries, Microhire, Corporate Locksmiths and Kimberley Discovery Cruises. His expertise in business start up and management, and his personal experience with Integrative Medicine, has made him an invaluable asset to the NIIM Advisory Board. Grant’s involvement with NIIM has centered around establishing a strong business foundation to operate within the unique field of Integrative Medicine. Stephen Bunce joined Founder Professor Avni Sali, and Grant Moffitt, to establish NIIM in 2006, becoming the NIIM’s inaugural CEO. He has qualifications in Business and Law, and previously worked in medical device manufacturing. Stephen was formerly a board member of the International Council of Integrative Medicine, and has significant experience in meditation, having co-led a non-profit meditation centre which provided free meditation courses to thousands of participants. He is a passionate advocate of mindful leadership. Sener Besim is a retail and brand specialist within the Australian Luxury retail landscape across all areas of management, marketing and retail. 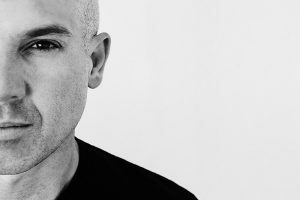 Sener has over 17 years’ experience as General Manager of one of Australia’s leading Fashion Brands and oversaw several periods of acute growth. Radek Sali is an accomplished leader of international business, having made his mark as CEO of household name Swisse in his early thirties. Radek is credited to have led Swisse through rapid growth in product lines, stockists and revenue, and initiated one of Australia’s largest ever licencing deals with PGT, with plans to launch Swisse in over 30 countries in 3 years across Europe and Asia. Swisse is an Autralia’s leading wellness brand that prides itself on delivering premium quality natural health and wellbeing products. Radek led the brand to successfully expand from VHMS into a skin care, super foods and performance nutrition range of products. He also successfully drove the brand to be the number 1 health product for on line sales in China. In 2015/16, Swisse sold for over $1.7bil, one of the largest private transactions in Australia’s corporate history. He credits building an extraordinary culture as the foundation of his success. Swisse’s market-leading position and success was recognised in 2012 when Radek led Swisse to be named the ‘Most Successful Business of the Year’ in the prestigious 2012 BRW Private Business Awards. Radek was also recognised as the GQ Businessman of the Year and the CEO Magazine’s Pharmaceutical Executive of the Year in 2012, these accolades were in addition to a number of health industry awards presented to Swisse in the same year. Swisse was named in the top 25 best places to work in 2015 and 2016. Radek was named as a national winner for his industry in 2016 for the Ernst & Young Entrepreneur of the Year Awards. Radek is the Executive Chairman of Light Warrior Group, a principle driven investment group focused on the potential of business to have a positive impact on the world by creating value for all stakeholders; customers, employees, suppliers, investors, society and the environment. Radek has also founded the Lightfolk Foundation, which has been established to support initiatives with the intent of advancing humankind. It is through this foundation that Lightfolk Ltd has been established, a not-for-profit school of wisdom of which Radek is Chairman. Radek is Honorary Alumni at La Trobe University and an Advisory Board Member for the National Institute of Integrative Medicine. Betty is a Director at SZ Lawyers, a boutique firm in East Malvern. In her role as a lawyer, Betty provides her clients solution-based legal advice, with empathy especially needed in her field of family law, estates & will, and property law. Her approach to life is simple: to be passionate in everything that she takes on; to be kind, always, as you do not know each person’s battles; and to be humble. Betty joined the NIIM family in 2009, as a supporter, donor, and board member…and her relationship with NIIM continues to grow and deepen as each year passes. As a graduate of Monash University with a double degree of Bachelor of Science/Bachelor of Laws, Betty was naturally attracted to the field of medicine, and scientific research and development. Her upbringing, which included being raised on an organic Mediterranean diet, grounded her interest in holistic wellbeing – made up of physical health, emotional nurture, mental stimulation and spiritual nourishment. Betty is a proud mother of four young, vibrant children that ensure she maintains a good work life balance with some fun and adventure along the way. Chairman, Copulos Group Peter Copulos has spent more than 50 years in business, primarily in the areas of property development and investment, retail, and hospitality. As founder of the Copulos Group and Copulos Foundation, he also directs several public and private companies. Peter brings to NIIM his vast business expertise. Having grown up in Shepparton, Victoria, Peter has a strong sense of community and his involvement with NIIM is one of the many ways he assists philanthropic and charitable organisations around Australia. Chairman and Executive Director, Village Roadshow Corporation Robert Kirby AO, B.Com is Chairman and Executive Director of Village Roadshow Corporation. Robert served as a Government appointed director of the Peter MacCallum Centre and is currently Deputy Chair of the Peter MacCallum Foundation. He has 35 years experience in the cinema, film and entertainment industry. He has also been intimately involved with the Gawler Foundation for over 20 years and was President from 1992 to 1995. Robert is a Member of the Patrons Council of The Epilepsy Foundation Victoria and a Patron of Victorian Arts Centre. Through her public relations consultancy, Beverley Pinder has over many decades provided pro- bono counsel and support to a wide range of not-for-profits. Her involvement with NIIM commenced nearly a decade ago advising the Graduate School of Integrative Medicine on its media relations. In 2012, Beverley was elected as a Councillor for the City of Melbourne, proudly joining Lord Mayor Robert Doyle, Deputy Lord Mayor Susan Riley and eight other councillors for a four-year term at Town Hall focusing on improving CBD safety, liveability and planning for growth. With a public relations career spanning more than 30 years, Beverley is renowned not only for her innate media expertise but also her ability to create and project manage activities from a new product launch to corporate reputation management programs. For well over 35 years Beverley Pinder has had personal involvement in assisting charities and not- for-profits. She sat on the board of The Gawler Foundation for 10 years, two of them as Acting President. She is also an active supporter of the Lighthouse Foundation. Her involvement with HELP Sri Lanka in the aftermath of the Boxing Day tsunami also sees her fundraising for the island nation of Sri Lanka with an emphasis on education. A/Prof Dr Karin Ried is Director of Research at the National Institute of Integrative Medicine. Dr Ried is Honorary Adjunct Assistant Professor, Bond University, Queensland, and Honorary Visiting Research Fellow at The University of Adelaide, South Australia. Dr Ried has over 15 years of experience in medical and public health research, and research interest in complementary and integrative medicine with a focus on nutritional health. Her research projects encompass nutritional medicine, cardiovascular health, bone health, gastrointestinal health, cancer, women’s health, and Traditional Chinese Medicine. Dr Ried received a Masters Degree in Chemistry (1993) and PhD from the University of Heidelberg, Germany in the Department of Human Molecular Genetics (1997). In addition, Dr Ried completed a Graduate Diploma of Public Health at the University of Adelaide (2001), and a Certificate in Integrative Medicine at the University of Queensland (2009). Dr Ried is a frequent speaker at national and international conferences. 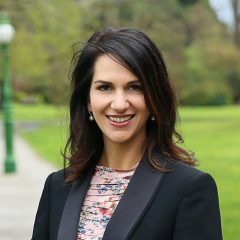 Prior to her current position at NIIM, Dr Ried has been the Program Manager of the government funded capacity building PHCRED program at the University of Adelaide between 2006-2012 and at Flinders University in South Australia between 2003-06. She is Chief Investigator on several competitive grants related to integrative nutritional medicine. Dr Ried has extensive expertise in quantitative research, in particular in systematic reviews and meta-analyses, clinical trials, as well as in qualitative research, including questionnaire design and survey methods. Dr John Walters has been involved in the practice and promotion of integrative medicine for more than 35 years. After graduating from the University of Melbourne, he established his own general practice clinics in Melbourne, and in rural Queensland. More than 20 years of rural practice enabled John to develop a broad scope of work from obstetrics, anaesthetics and surgery, to a comprehensive allergy clinic, nutritional and lifestyle medicine and the management of skin conditions including cancers. He trained in dermatology in the UK from which has grown his large dermatology and skin cancer interests. He has trained other practitioners in allergy management in this time. Over the past 13 years, John has worked in General Practice in Clifton Hill, expanding his interest in dermatology and skin cancer surgery, nutritional medicine, allergy management, chemical sensitivities, thyroid and autoimmune conditions and preventative medicine and lifestyle modification. John has held a lecturing position at the University of Queensland, been involved in training practitioners in integrative medicine, and enjoys supervising medical students from The University of Melbourne. 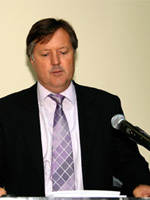 He is a founding member and Fellow of the Australian Society of Environmental Medicine (ASEM), has published research on the efficacy of immunotherapy in general practice, and on the management and treatment of skin conditions in general practice (Phelps), and is an active researcher in the broad application of evolving integrative medical practice. John’s commitment in his medical practice is to treat patients individually according to their specific history, needs and lifestyle. He uses an educational emphasis with patients to help them understand and optimise their healing and ongoing well-being and health. Taufiq graduated from the University of Leeds, UK, in 2000. He then completed his basic surgical training and obtained his Membership from the Royal College of Surgeons of Edinburgh in 2005. Following that, he trained in Family Medicine and obtained his Membership from the Royal College of General Practitioners in 2011, the Canadian Family Physician Board Certification (CCFP) in 2012 and a Fellowship from the Royal Australian College of General Practitioners in 2012. In the last 16 years as a doctor, he has had training in various specialties in Surgery and Orthopaedics, General Medicine, Paediatrics, Psychiatry, Anaesthetics, Intensive Care and Emergency Medicine, Skin Cancer Medicine and Surgery, Anti-Ageing and Regenerative Medicine (including PRP and Stem Cells), Nutritional and Environmental Medicine and supportive Cancer treatments. He believes in personalised medicine, looking at the uniqueness of each person and working out the root causes of any chronic illness, which may include genetics, psychological, toxicities, lifestyle, nutritional, metabolic etc. He then works with the patient to address and treat each underlying cause in order to obtain a sustainable and long-term impact. He integrates the best of orthodox medicine with complementary modalities and patient empowerment through education, in order to achieve this goal. PhD, MHlthSc, GradDipEd, DipHlthSci(Paramedic) Fellow P.A. Peter has a multi-discipline background in health, sociology, education, and had over 30 years clinical education experience nationally and internationally. After spending 10 years as a Social Worker within the criminal justice and child protection units, he commenced his health-focused career in paramedicine undertaking clinical practice and clinical education in metropolitan and rural locations. Peter is nationally and international renowned as a leader in clinical education and has been invited on numerous occasions to deliver courses and present on multifaceted aspects of academic leadership, clinical practice, and the clinical learning environment (CLE). His specific academic and research interests utilises qualitative approaches, and include the development of ethical, cultural, and sociological aspects in health practice, incorporating social justice, access, and equity. Peter is a member and holds leadership positions within a number of professional bodies and industry boards, both national and international. He is presently serving as the National President of Paramedics Australasia and is a member of the Australian Education Council housed with the Council of Ambulance Authorities serving as chair of accreditation of university paramedic programs. Peter is presently the Deputy Dean College of Health Biomedicine at Victoria University providing high level leadership on strategic and governance matters within a quality driven framework. Friederika Kaider has spent the last decade working as an academic developer in Australian Universities with a particular interest in work integrated learning. Prior to that she taught both undergraduate and graduate courses in universities in Australia, Singapore and the United States in fields including comparative industrial relations; strategic and international human resource management; ethical leadership; training and development; and education. This followed her previous role, also for a decade, as Director of a major economic and community development project in Chicago, Illinois. She has also been engaged in professional capacities in management training; industrial relations; teaching and community education; community development and as a speech writer and aide to a Senator. She currently serves on a number of academic and education committees. Dr Eng is a General Practitioner who specialises in nutritional medicine, working in Middle Park, Victoria and at the NIIM clinic. His clinical focus includes developing nutritional protocols for the prevention and treatment of diseases based on studies published in scientific and medical journals and likewise adjuvant protocols for cancer treatment, including cancer genetic profiling and as well as mutations. Dr Eng introduced a department of Nutritional medicine to Swinburne University in 1995 and since then has worked at Epworth Health Care, Richmond. He also teaches a unit for Melbourne University of Medicine. In 2003 he was awarded a centenary medal by the Governor General of Commonwealth of Australia for contributions to Australia society and made a Fellow of Australia College of Nutritional and Environmental medicine (ACNEM). He was elected to the board of ACNEM in 2005 and has worked as a mentor for the Royal College of General Practitioners as well as raising $250,000 in 2008 towards the Magnetic Resonance Imaging facility at the Baker Heart and Research Institute, Melbourne. In 2008, he appeared at the senate enquiry into use of complementary medicine in cancer treatment in Canberra, on behalf of Australia College of Nutritional & Environmental Medicine. Dr Eng is currently a member of the Swisse Scientific Advisory Panel. David brings a broad range of tertiary, Secondary College and Community sector work experiences to his role on the NIIM Board of Studies. In tertiary education, he is a Student Matters Advisor at Victoria University (VU) consulting staff and students on a range of issues in relation to student related processes, policies, procedures and legislation. He has also served in tertiary education as a: 1) Student Advocate and acting manager in that service 2) University Colleague (clinical educator) in a College of Education supporting pre-service teachers and their other educators in schools 3) as a sessional tutor in a foundation College of Arts unit 4) as an Executive Officer for the Manager of Student Services and 5) as a student union Education & Welfare Officer. He has led projects at VU such as the Cultural Images Project and Peer to Peer Mentor Project as part of a General Staff Leadership Program. David maintains his Victoria Institute of Teaching (VIT) registration with various professional development activities such as through AVID training, forums and networks (Advancement via Individual Determination). His key professional qualifications are: Graduate Diploma in Education; Graduate Diploma in Recreation & Sports Management – disability stream; Bachelor of Arts Multidisciplinary – Psychology & Communications Studies; Certificate in English Language Teaching Adults (CELTA). He has also completed various units at Masters level for professional development in the College of Education and College of Arts at VU. Alan has thirty years’ experience in all areas of Australian Medical Education. Other roles have included Coordinator and author of the course ‘English for Health Professionals’ at Victoria University, Co-Ordinator of Clinical and MCQ Courses conducted by The Victorian Medical Post graduate Foundation; Lecturer at University of Melbourne Faculty of Dentistry and Health Sciences, working with 4th, 5th and 6th year medical students on the wards on doctor/patient communication. Alan is currently Director of ARIMGSAS, which conducts courses and workshops for International Medical Graduates preparing to practise in Australia and/or preparing for the Australian Medical Councils Examinations. Professor Kucuk is a recognized academic, clinician and expert in the field of integrative oncology. He is a professor and medical doctor at Emory University, Atlanta, US. Professor Kucuk is Professor of Hematology-Oncology and Urology; Director, Integrative Medicine Center; Director, Multidisciplinary Genitourinary Oncology Group; Chief, Genitourinary Medical Oncology Service; Leader, Prostate Cancer Research Program; Georgia Research Alliance Distinguished Scientist, Winship Cancer Institute of Emory University. His expertise is in the area of chemoprevention, nutrition and cancer, particularly in the area of genitourinary cancers with a focus on prostate cancer. His research has focused on the modulation of genetic and epigenetic pathways of cancer development and progression by nutritional interventions, with emphasis on soy isoflavones and lycopene. His wealth of experience in integrative medical research brings a strength to NIIM in its future development of postgraduate integrative medicine courses. Dr Siow is a Registered General Practitioner with special interests in the areas of Aesthetic Medicine, Clinical Metal Toxicology and Advanced Longevity Medicine. He holds a number of professional memberships and is the President and Executive Director of the Australasian College for Advancement in Medicine (AUSCAM). He is the Secretary of the International Board of Clinical Metal Toxicology (IBCMT) and Chairman of the IBCMT Medical, Scientific, Education and Research Committee. Dr Siow holds positions as the Director Centre of Clinical Toxicology and Parenteral Nutrition at NIIM and is also Director of Research (Integrative Cosmetic Medicine) at the Victoria Cosmetic Institute. He holds a number of honorary positions and has lectured widely and published in a number of fields. Nikolaj Travica currently works at NIIM as a Research Assistant and has a Bachelor in Psychology and Psychophysiology (2012), and an Honours degree in Science, majoring in Psychology (2013), from Swinburne University of Technology. 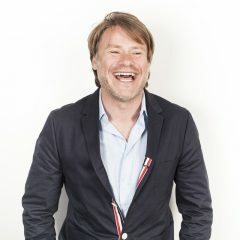 Nikolaj’s key areas of interest include research into the effects of natural remedies (nutrition, exercise, meditation) on cognitive and neuropsychological functioning, and determining the risk factors associated with cognitive decline. Nikolaj utilises cognitive and cardiovascular measures to investigate dietary supplements with the potential to improve cognition and reduce other health risk factors for dementia and cardiovascular disease. Further research interests include holistic cancer treatments and preventions. Nikolaj has authored a number of studies and has been a speaker at a number of scientific conferences. Nikolaj also attained his certificate III in Pathology through Australian Health Professional Training (AHPT) Solutions (2014). Apart from his research role at NIIM, Nikolaj is currently also enrolled as a Science PhD candidate through Swinburne University of Technology, where he is primarily investing the effects of vitamins and surgery on cognitive function.